So you may have noticed a brief hiatus in the last week or so from the PINK CAPITALS and poor chat on Face Value Beauty Blog. That’s because I was on holiday! In Berlin jah? 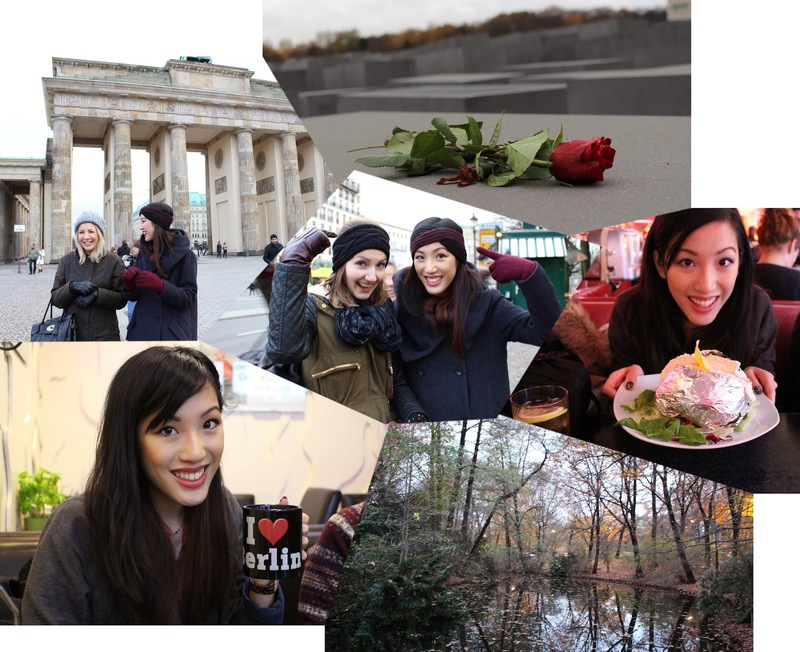 Obviously anyone who follows me on Instagram will have seen my Berlin holiday photos splashed around but for those of you who are blog-only here’s a little photo recap of my trip. So what did we do and what did I buy? And of course – I stocked up on some German cosmetics too! If you’re planning a trip to Germany and wondering what German cosmetics to buy, I obviously have performed some personal research for your benefit…. how selfless of me. 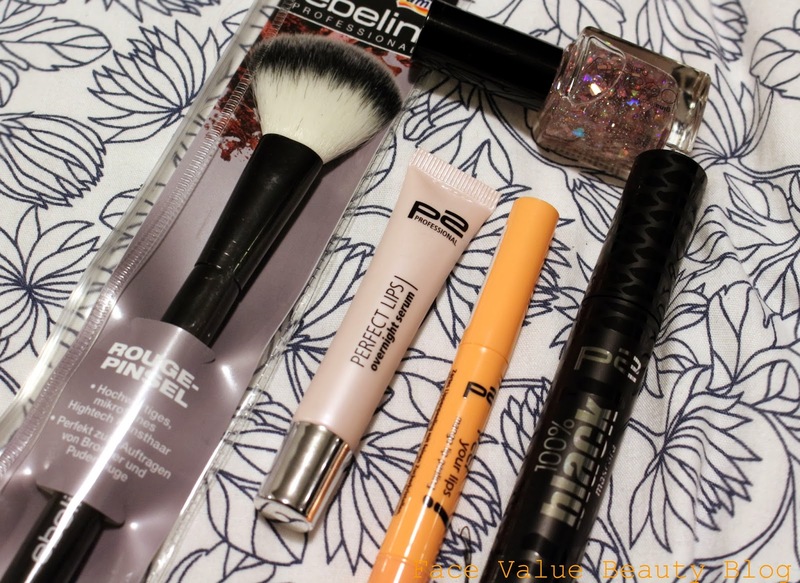 Below is a selection of p2 cosmetics which I found in a German drugstore called DM. Really they’re not wasting ANY time with the creative names are they? First up – the Ebelin rouge pinsel aka blush brush – a great synthetic, rounded powder brush from the Ebenlin Professional range. It is one of the softest brushes I’ve ever used. And it was less than 4 euros! I hope it doesn’t lose it’s softness- I bought a MAC 128 Powder Brush a couple of months ago and it’s already gone a bit harsh and hard! BOO. I definitely recommend anyone looking for German cosmetics to check out this Ebelin Professional brush range – it’s great value and really high quality! Next, the Perfect Lips Overnight Serum – posh names aside, it’s basically a heavy duty lip balm, without that heavy feeling. It’s meant for “perfectly groomed dream lips overnight with pleasantly light vanilla scent.” H-okay. It’s got olive oil and a volumising peptide to seriously moisturise and plump – it’s light on the lips and yes, tastes of ‘pleasantly light vanilla’. There was a hint at that tingling sensation which often accompanies volume products but I saw no visible evidence of a bigger pout. I did however, gain smoother, softer lips in the morning which is always a plus in my books. Wahey. While I was out there, the cold did a stellar job of absolutely DESTROYNG my lips. I was in need of a lip scrub fast which is why I picked up this Mango Lip Peeling product – which okay, sounds gross, but it really does what it says on the tin! So what is this Mango Peeling Lip Peeling Peel Lips thing?! It’s basically a grainy suspension which comes out of a doe foot applicator– this makes it easy to rub the good stuff around your mouth without having to get your hands messy. Normally I use a sugar scrub over the sink but this could be done whilst sitting on the sofa. I massaged this into lips for a couple of minutes before wiping off with a baby wipe (again, no need to get off the sofa) And it left my lips buttery soft and tasting like mango- much better! Finally – because I just had to treat myself, I bought this p2 100% Black mascara. It has a curved wand which I love. You’ll see from my previous posts that I love a curved wand for pushing up eyelashes and setting the curl. This mascara was no different – the flat curve helped to shape lashes without curlers but the formula was also fantastic – thick, with fibres – perfect for turning my fine flutter into pillars of sooty magnificence. It reminds me of the green Rimmel Volume max but cheaper! Each one cost me about 3 or 4 euros – about 2 or 3 quid – and they are fantastic! I’m always sceptical about new brands but I’m really glad I tried these. I feel smug. 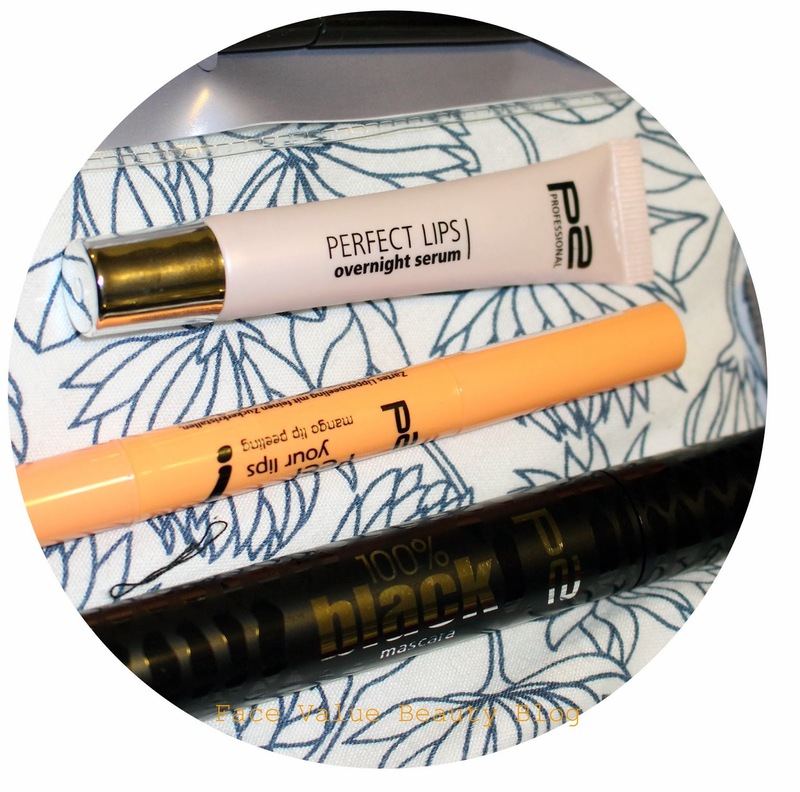 So if you’re wondering what German Cosmetics to buy – definitely keep an eye out for the p2 brand! Have you ever tried any german cosmetics? Have you been to Berlin? What is the best beauty buy you’ve found abroad? Do your lips need mango peel peeling peely help too?